I said it at the time largely because I like to take a devil’s advocate position, but I also said it because I’ve become quite weary over the last 6 years listening to idiots run down the sitting President. Generally, I’m right there with them. I mean, given the track record of U.S. presidents in recent history, it’s not hard to thrash a president and have a receptive audience. Let me run down a bit of the history of presidents over the past fifty years, just so you can get a feel for where I’m coming from. I first started paying attention to politics when Carter was in office. I couldn’t vote back then, but I thought Carter was getting a raw deal leading up to the election of 1980. His policies weren’t anything to brag about, but the weakness of the president and the country that conservatives railed about was largely an illusion that they invented simply as a tool to use against him. As history has demonstrated, Reagan didn’t know anything more than how to hit a mark and say a line (mostly) correctly; and people in his employ did negotiate with the Iranian hostage takers. In 1984. Again? Who knows. Reagan’s term in office was hardly anything to brag about either; in spite of what armies of conservatives say otherwise. Yes, it’s true, the Berlin wall fell on his watch, but that falling had almost nothing to do with US policies in the region, and everything to do with ham-handed bureaucrats behind the iron curtain, and a Soviet President elected to usher in a new era of openness demanded by the people. What Reagan should be known for, the albatross that he should wear, is Reaganomics or trickle-down economics, which has been shown to be a complete failure and has actually contributed more to economic instability than any other action committed by any other US executive in modern history. Reagan’s real legacy is the S&L debacle, brought about by loosening regulations on financial institutions, almost exactly as predicted by people opposed to that action. The Iran-Contra affair that I mentioned previously barely moves the needle compared to the destructiveness of Reaganomics. But Ronald Reagan was popular and was elected to two terms. His popularity even earned his Vice-President, an almost unknown political animal named George Herbert Walker Bush, a term as President. [Listen to Bagman and hear how he helped Spiro Agnew avoid prosecution, and then sought out Spiro Agnew’s advice on how to beat governor Dukakis.] But the damage done by Reaganomics continued to plague the nation, and not even a short, victorious, righteous war to stymie the aggression of a Middle Eastern dictator could secure him a second term in office. As a peacenik, someone opposed to war in general if not in principle, George H.W. Bush’s willingness to go to war didn’t earn any points with me. None of the things his successor said or did made me believe he was any different. Bill Clinton’s term in office benefitted from the investment of the LBJ administration in space technology, in the form of microchips that were finally small and powerful enough to drive the information technology revolution that we are in the middle of; which makes his term in office seem halcyon in hindsight. But his willingness to involve the US in every correct world event (with the exception of Rwanda. Which he says he wishes he’d gotten involved in as well) lobbing missiles like they were footballs at every hotspot on the globe, provided the grist for the mill of anti-American sentiment around the world. Packing a bomb which exploded on 9-11. That’s the takeaway that history will draw from this era, the post-post WWII decades. When the US fumbled the ball handed to it by the old-world European powers, and let someone else take up the lead internationally (who that will be remains in question) the election of Bush II will not be remembered for what Al Gore supporters would like it to be remembered for, but for the results of America being asleep at the wheel internationally almost since the end of the Vietnam war. Bush II didn’t steal the election, he simply won it on a technicality. So he got to be the guy in charge on the day when the buzzards came home to roost. The saying roughly goes we get the best enemies money can buy and we made the enemies who attacked us on 9-11; both figuratively and in reality. We trained a good number of terrorists to resist the Russian invasion of Afghanistan, including some who later worked for Al Qaeda, possibly even OBL himself. The administration was warned but ignored those warnings, and then set about fighting a war that would end up being the longest in US history, and arranged for that war to occur based on false evidence. In the process the Bush II administration destroyed American credibility on the world stage (whatever was left of it) torturing innocent people who just happened to be in a warzone at the wrong time. To finish off his term, Bush II (prefer W? Use that) also failed to act on the looming financial crisis (also about which he was warned) and consequently handed the election of the next President to the Democrats, who could have run the proverbial yellow dog, and it would have won. If it hadn’t been for Sarah Palin’s circus show, there wouldn’t have been anything of interest about the election of 2008. With that as a backdrop, you can imagine what I thought of Barack Obama going into his first term. Don’t get me wrong, I voted for him in the primary in a vain (?) effort to throw the election his way instead of towards Hillary Clinton (I have no use for political dynasties) but I voted straight Libertarian for my last time in that general election. Held my nose and voted for a Republican in Libertarian clothing. But Obama pretty much did what he promised. Oh, I know, he cratered on a lot of things that privacy advocates and conspiracy mongers think he should have taken a hard line on. But he has tried ending the wars in Iraq and Afghanistan without looking too ridiculous in the process; and no matter how much saber rattling the Conservatives do, the anarchy currently afoot in Syria/Iraq doesn’t amount to much in the scheme of things unless you happen to have business there. Happen to live there (if you do, you have my sympathy. But do you really want to help Bashar Assad stay in power? Really?) The Syrian revolution managed to win the Republicans seats in the midterms, blowing out the possibility of a more productive congress in 2015, but in the end they remain on the wrong side of history. Why, you ask? Why are they on the wrong side of history? Why would Obama be considered a good President? Because the general trends are predictive and obvious. I tripped over them even if you, dear reader, did not. Since the Cold War ended and we blithely went on unchanging in or priorities, the Old World powers found their legs and stood on their own again. If you want to visit countries with the highest ratings for health, productivity, happiness, etc., look no further than the old economies that hard liners in the US still wrongly dismiss. Proof of this can be found by the ease with which Germany absorbed the poorer provinces of Eastern Germany, long held back under Soviet rule. How the French absorb refugees into France at a rate that rivals the US. Canada’s adoption of the Canada Health Act hasn’t proved disastrous for the Canadian economy as predicted. It’s services continue to improve at an impressive rate, leaving the US in the dust. Even Mexico City has better healthcare than we have in the US, finally making the claims of liberal agitators like Micheal Moore truthful, if only in hindsight. The writing is on the wall, has been on the wall for sometime and US citizens apparently never noticed. Socialized medicine, for lack of a better appellation, appears to be the future. The notion that individuals can pay for health services as needed and build the kind of infrastructure that the average person wants (emergency services, research, etc) has been effectively shown to be a pipe dream; and that systems can and do function with the amount of complexity required to provide services in a timely fashion. Ergo we will all be charged something to provide the services we all say we want but don’t want to pay for; or rather, underestimate the cost of. But that subject is beside the point I’m trying to make, and I don’t want to get distracted from it. This is the point. Every President since and including FDR talked about doing something about healthcare in the US. Every President since Truman has actively asked for and/or crafted legislation to fix the US healthcare system. Barack Obama, in the face of the stiffest opposition faced by any President in US history, helped to craft compromise legislation that at least advances the goal of universal access to healthcare for the first time in US history. No one likes it, to be sure, but it appears to be working all the same. The Gallup-Healthways Well-Being Index is out this morning and reveals that 15.9 percent of American adults are now uninsured, down from 17.1 percent for the last three months of 2013 and has shown improvements in every major demographic group with the exception of Hispanics who did not advance. If the ACA, Obamacare, continues working; if we actually expand on the basics of standardized healthcare provision set down by the Obama administration, What then? When Presidents back to the time of Truman tried to get this done? Because Eisenhower was the last President to put his name on a fundamental change that was positive to the US as a whole. 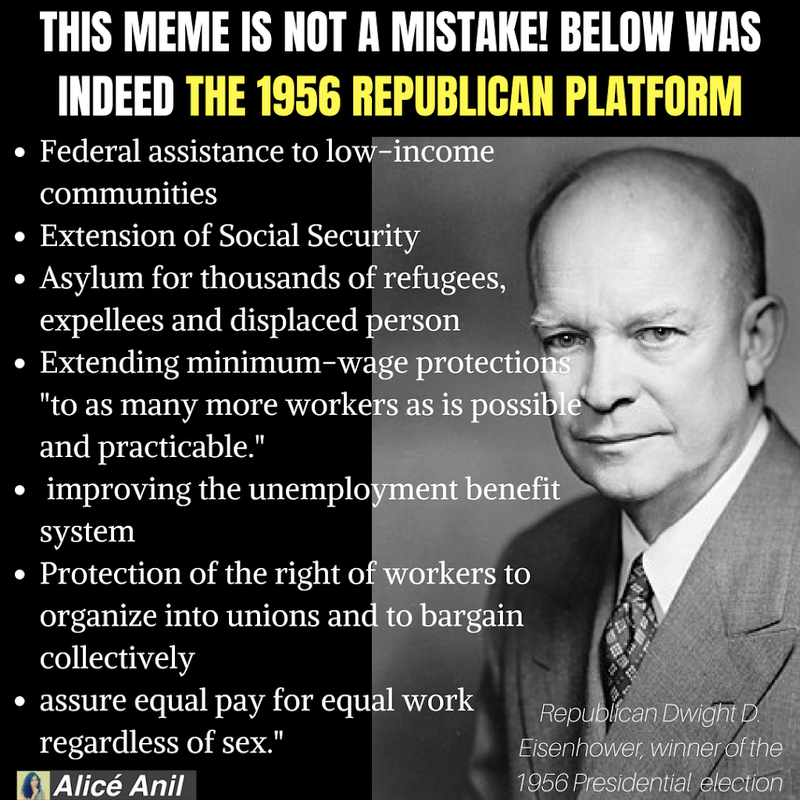 LBJ might have done this with his Great Society, but his term was marred with Vietnam (which could have been avoided) Eisenhower managed to avoid any major conflicts, and established the Interstate system with funds Congress had given to the military. I’m not planning on doing an exhaustive search back though 60 years of Presidential history just to make my point. Truthfully, when I first proposed the idea, I just stated best President in our lifetimes. I was born in the age of Kennedy, and while his ending was tragic, what LBJ achieved in his name was of more importance than anything he did aside from not starting World War Three during the Cuban Missile Crisis. In the grand scheme of things that is what he will be remembered for, aside from his words that took us to the moon on LBJ’s watch. Which is really all that matters to history. LBJ might pull a close second, even with Vietnam on his record, but that just really speaks to the lackluster nature of our leaders post-WW II, not to any high achievement on LBJ’s record. What’s funny is, I’ve heard similar talk in the news media of late, which is why this subject came back to mind, the subject of Obama’s greatness, given the scheme of things. Obama took the shellacking of his party in stride, decided he wouldn’t sit out the last two years of his Presidency and play golf; at least not yet anyway (If you ask me he’s earned it, having taken less vacation than the last two Presidents) he took his Presidential pen in hand (something else he’s done less than recent Presidents) in order to reduce the suffering of people that were within his power to help. Mr. Obama, barring tragedy or resignation, will get to serve eight years, but his margin of victory last November was not overwhelming. He won 62 percent of the electoral vote, which ranks 16th among the 30 presidents who sought re-election after their first terms. Mr. Obama’s electoral vote percentage was better than any of the 10 first-term losers, of course — but among the 20 winners, it exceeded only James Madison in 1812, Woodrow Wilson in 1916, Harry Truman in 1948 and George W. Bush in 2004. That’s just going on percentages. Puts him in the running with Clinton, well below Eisenhower or LBJ in historical importance based on electoral percentage. But that’s a little dry, don’t you think? Surely it means more than that, historical importance? More than the President’s popularity with the voting public? Not necessarily. Specifically, I have a hard time believing that Reagan will maintain his high rating (historically ranked 10th in importance) even with his overwhelming second-term victory percentages, given the looting that his administration ushered in and is only now coming to light. Still, the cost-cutters will be hard pressed to nay-say Barack Obama’s place in history if he stays on course through the rest of his term. You are reading that right. Obama most conservative federal spender since Dwight D. Eisenhower. Don’t hold your breath waiting for your conservative outlets to spin this the right way, they won’t; or they will take Heritage Foundation’s tack on the subject and insist that Bush II’s war costs should be saddled on Obama. In any case, the groundwork has been laid. My work here is done. When I say that Obama is the best President since Eisenhower, it’s not a compliment to Obama or Eisenhower. I just want to make this point clear. It’s an observation on just how predatory our government has been in the past, continues to be at present. Imagine what US society would look like if Americans thought of themselves as not engaged in a zero-sum competition with their fellows? If we elected a government that actually focused on common welfare and not killing perceived threats to our ever-diminishing piece of the pie? That is how Obama is different than his predecessors since Eisenhower, or at least since Carter. This is the first time the military agenda hasn’t dominated every second of the sitting Presidents time. The first time in decades that any social advancement has been registered; or more precisely, the first time the downward slide of the average American has been noted publicly. Three years (nearly four) have passed since I wrote this piece. What I find amusing in this Orange Hate-Monkey hellhole we are trapped in, is that a lot of people are now saying that Obama was the best president during their lifetimes. So all the flack I got when I said that three years ago means absolutely as little as I thought it did then. We as citizens should build on that discovery, that Obama was the best president of our own experienced lives, rather than be distracted by the same-old glittery glamour of sabre-rattling and outright warfare that has come to be synonymous with US policy since WWII.